Versatile: One model fits any need: upflow, horizontal, or (with an easy 10-minute conversion) downflow. Efficient: Computer designed heat exchanger and burner system provide quiet, dependable 80%+ heating efficiency. Compact: Fits anywhere, only 31 5/8" tall. Allows space for add-on equipment including new 13 SEER coils. Quiet: Four-speed split capacitor blower motor provides quiet comfort to meet individual heating and cooling needs throughout the home. Quick and Easy to install and service. Return duct can enter from right, left or bottom. The proven SparkLite ignition system provides reliable, efficient spark ignition to light the main burners. Self diagnostics: the fan timer features self-diagnostics and monitors all furnace functions for safe, reliable operation. Propane: Conversion kits are available. 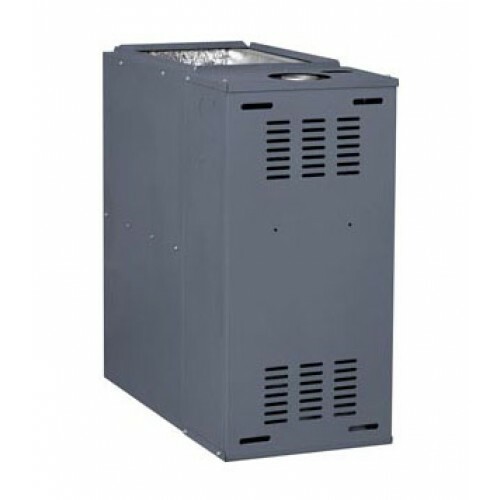 Reliable: Every sub-assembly is thoroughly tested before it is installed in the furnace.